I love all things FALL!!! I love fall festivals, apples, pumpkin EVERYTHING, Halloween, Thanksgiving, etc. 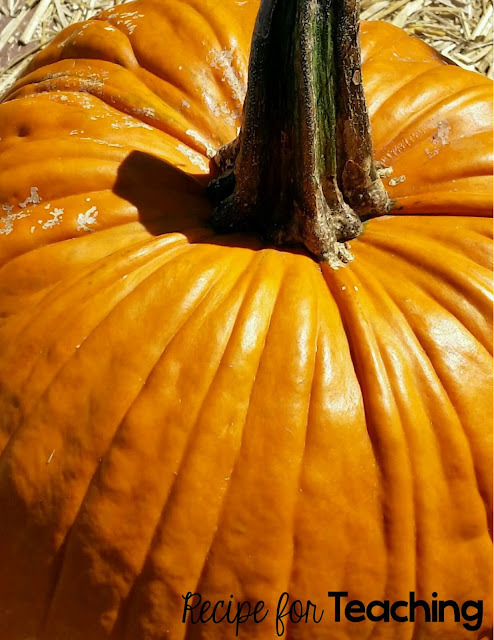 My husband and I just went to the pumpkin patch this past weekend and I found this pumpkin to decorate! 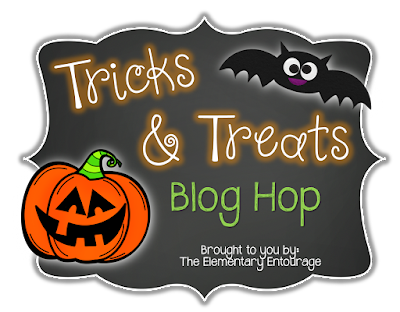 I'm so excited to join in on this "Tricks & Treats" blog hop with The Elementary Entourage! Such a fun idea! 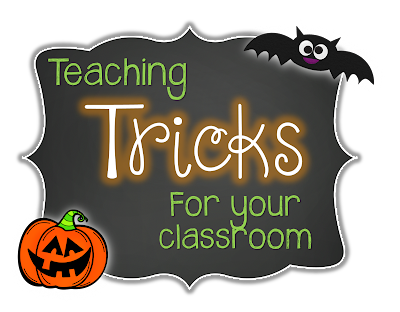 For this blog hop we are sharing about a classroom "TRICK" and a classroom "TREAT!" I hope you are able to use each idea! If you follow me in Instagram, you may have seen me post about this before, but it's just such an easy trick to do that I wanted to share it on here too! 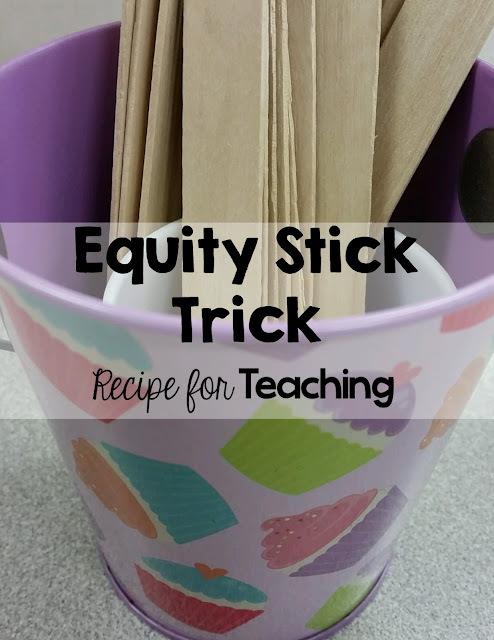 Do you use equity sticks for calling on students?? I love that it is an easy way to randomly pick students and it helps us teachers make sure that we are calling on a variety of students. I have a little trick that was passed on to me early in my teaching career. Put a small cup inside a larger cup. Put all of the sticks in the small cup to start. As you choose a name, move the stick in between the small and large cup. This way you a making sure that you are calling on a variety of students, but your students still think they could be called on again! Tricky Tricky!!!! And now for your TREAT!! 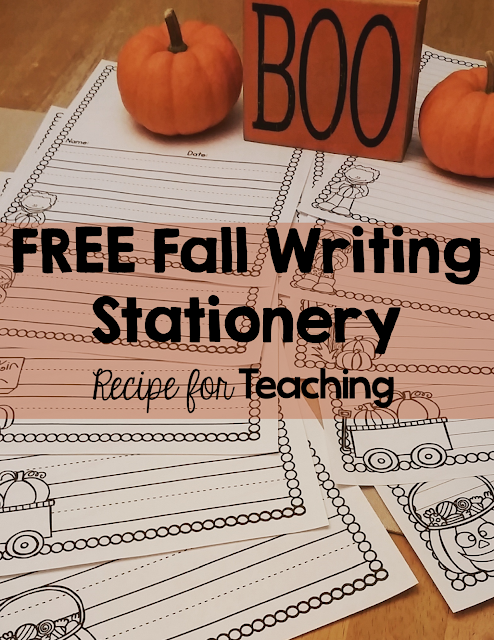 I made this fall writing stationery and it is FREE! I love putting different writing stationery at my writing center for my students to use. The kids love it and it is just so festive! This writing stationery treat includes 5 pages with primary lines and 5 pages with intermediate lines. 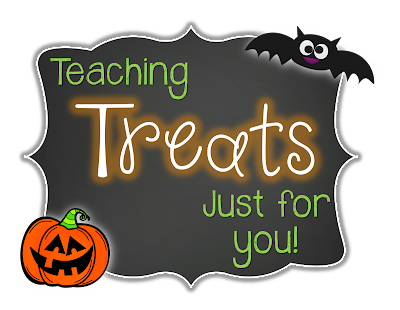 Just click the image to grab your treat from my TpT Store! Can't wait to check out some other tricks and treats from some fabulous bloggers! To Sit or Stand? That is the Question!